The initial reaction when we sat down to see Dragon's Dogma demonstrated was, we'll admit, one of confusion; at the fact that Japanese giant Capcom has opted to tackle the Western RPG genre, but also that this was the first we'd heard about it. Medieval fantasy RPGs with dragons and huge, open universes are right up our alley, but we can't say we'd even heard the name before. Alarm bells immediately started ringing, even as the intrigue rose. The confusion only increased, however, as one of the most unusual game presentations we'd ever seen started to unfold before us and a developer spent ten minutes explaining the basics of character creation - that you can choose hair styles, alter height and so on. It's the type of feature that we'd expect as standard for a modern RPG, yet Capcom was lavishing it with such attention as to raise the suspicion that there's little else of interest beyond the customisation screen. Ultimately, it was a suspicion which was later proved to be mostly correct, as the presentation would only continue to pour attention on features that were at best unexciting and at worst tedious. The bulk of the demonstration was spent watching a Capcom representative attempting to tackle a golem he'd encountered in a clearing. Despite the fact that this battle went on for at least 15 minutes and involved nothing but constant hacking at the foe with blade, bow and a conveniently located ballista, the golem refused to fall. The hero character even clambered all over the foe several times, in the hope of delivering a death blow, but all the attempts merely ended with a fraction of the golem's health bar slicing off. After 15 minutes of constant battle against what we were led to believe wasn't even a miniboss, the demonstrator led his party away from the battlefield, apparently bored with his own game. We walked down a path, saw a castle in the distance, were asked to speculate what may be inside and then...that was it. Lights up, curtain down; the presentation was over. Steadily it dawned on us that we'd spent close to half an hour having the game demonstrated to us, but hadn't learned much about the game other than the fact that it's challenging to the point of boredom. We knew nothing about the story, only little of the larger world and had seen only enough the game to comment that the colour palette looked predictably earthy and unstylised. The only memorable fact about the game was how forgettable it appeared to be. In short, all we knew was that Dragon's Dogma was an open world Western RPG that lacked multiplayer, but involved AI-driven NPCs who could be given basic orders such as 'Come' and 'Go'. And it had golems who were as hard as rock. Later though, with research and discussion we were able to learn more about the universe of Dragon's Dogma, such as the fact that the story starts with the hero having his heart ripped out by a dragon. Surviving only through miracle and mystery, the hero then sets out to reclaim his organ and slay the dragon that bested him; uncovering in the process why he's been branded something as generic as 'the chosen one'. 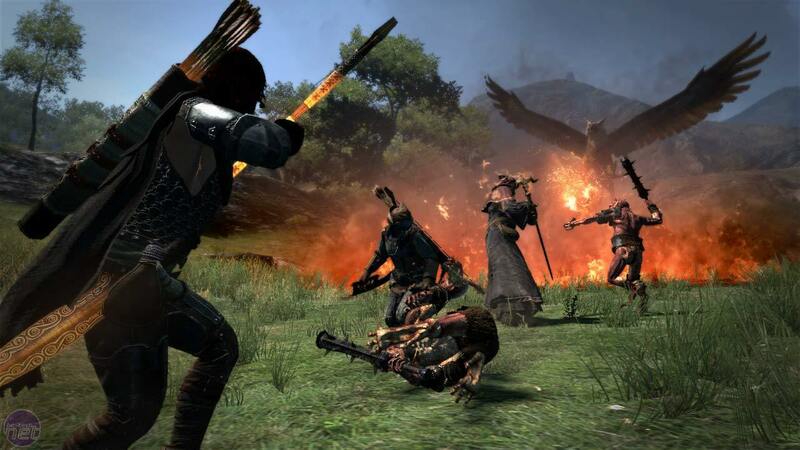 Dragon's Dogma is a thrilling RPG, but not without its idiosyncrasies. Capcom is working to bring the quirky Dragon's Dogma online in a new free to play project. It's Dead Rising 2, retold - but is it any good? We weigh in with our official thoughts.